August 17, 2018. It was a rainy day in Yangon. 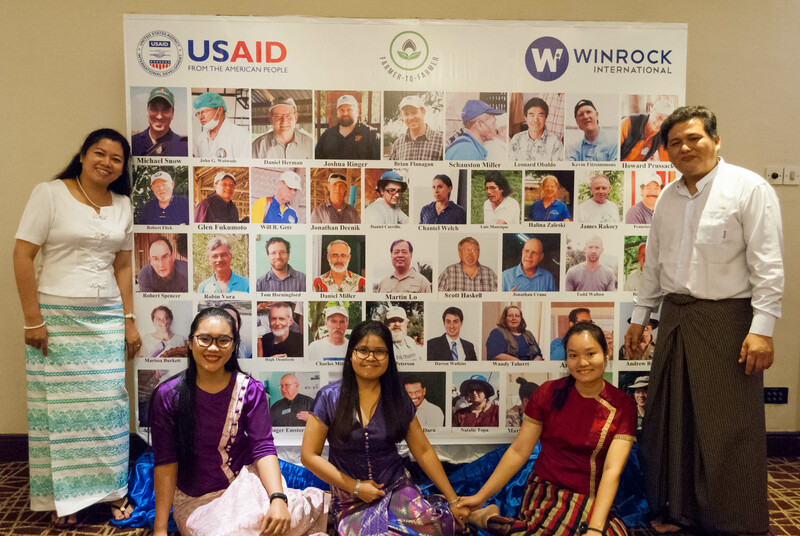 Winrock’s F2F staff, from the head office and Asia region, and volunteers hugged each other and said ‘bye’ from their hearts in the Yangon airport lobby. I remembered the day I finished my final examination in University; all the friends were happy as we had faced the biggest challenge of our life, however, we were so sad from deep within our hearts as we had to be apart after 5 years of friendship under the same roof. 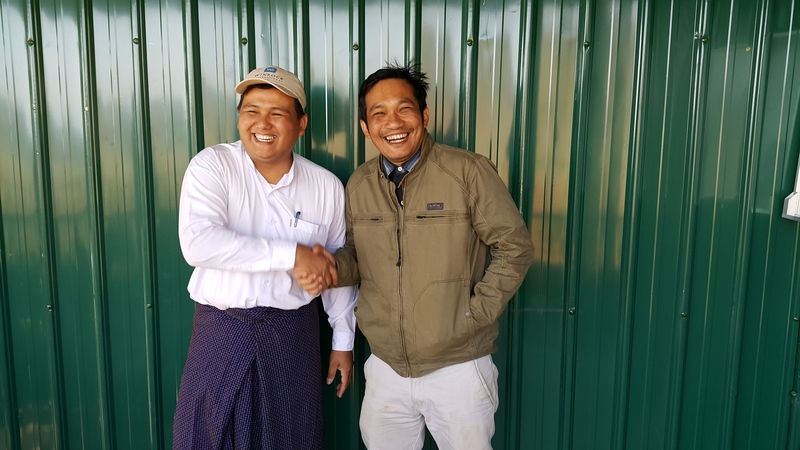 After just as many years implementing USAID-funded Farmer-to-Farmer Program in Asia region, mainly in Bangladesh, Myanmar and Nepal, Winrock is going to hand over the program to another implementer at the end of September. We are hugging with great happiness and pride for accomplishing the 5-year program successfully, wishing each other to have bright futures after. However, I felt everyone’s sadness from their eyes for the separation and being away from Winrock’s roof where we had lived for 5 years together. Yes, it was similar to my last day of university life. It was bite-the-bullet time. We have to accept the things we cannot change, haven’t we? 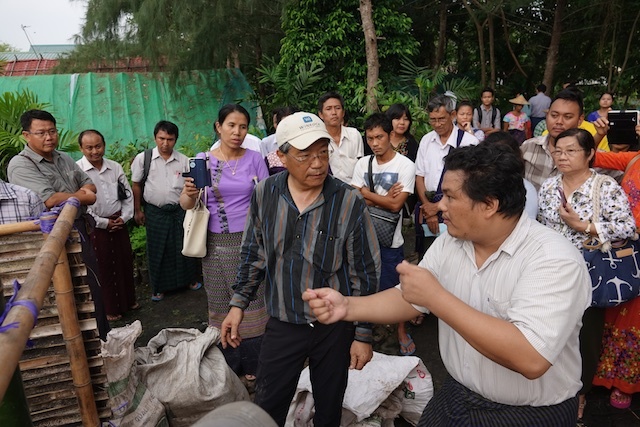 Each and every host country in the Asia F2F program conducted a learning event to review the program’s activities we worked hard on, successes we accomplished, impacts we made, challenges we faced and opportunities we have to improve. We discussed those things in the regional workshop conducted from August 15 to 17, 2018 in Taunggyi, the capital of Shan State. 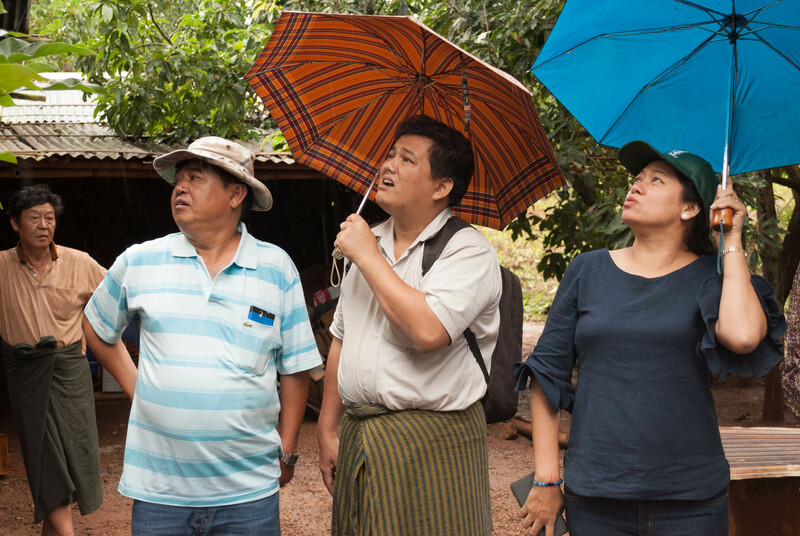 Within 5 years, we, Asia F2F program assisted 19,184 people in 3 host countries through 330F2F volunteer assignments in the areas of rural development, agricultural education and training and youth entrepreneurship. We have done a good job for the people and for the host countries, of course including my motherland. We were not just focusing on productivity, but we also considered food safety. We were not just improving the quality of agriculture products, but we also alert on resilience and constantly thought about sustainability. Our focus was not only on agriculture but also on people; how they live their lives, how they work together to improve their livelihood and business. I tried to shift my emotional thoughts to technical analysis. F2F has reviewed itself, how about me? What did the past 5 years of my life as a Winrocker mean? How much did I improve? Who was I, and who am I right now? I analyzed the baseline and impact of my bio-data. OMG! I found that Winrock and F2F changed my life a lot. I changed from a vet who only thought about Foot and Mouth Disease all the time to someone who is advocating integration of livestock and crop productions. F2F changed me from a lab technician who was worrying about the bacterial contamination of baby hamster kidney cells in which virus replicated to produce FMD vaccine, into a man who is worrying about the safety of the food for the people of the whole world. I should not show-off that I changed from a specialist to a generalist. However, I have the confidence to say that the F2F program and its volunteers helped broaden my view from the microscope to the globe. As a Winrocker, F2F impacted not only my vision but also my career life. The knowledge gained from F2F volunteers, field trips, and management work, helped a lot in my other life as a freelance writer. Working in the field translating from volunteers’ scientific information into farmer’s language was the most pride filled l part of my job in the F2F program. If the technology and science were the gods, F2F and I as an F2F technical officer will be the messengers. 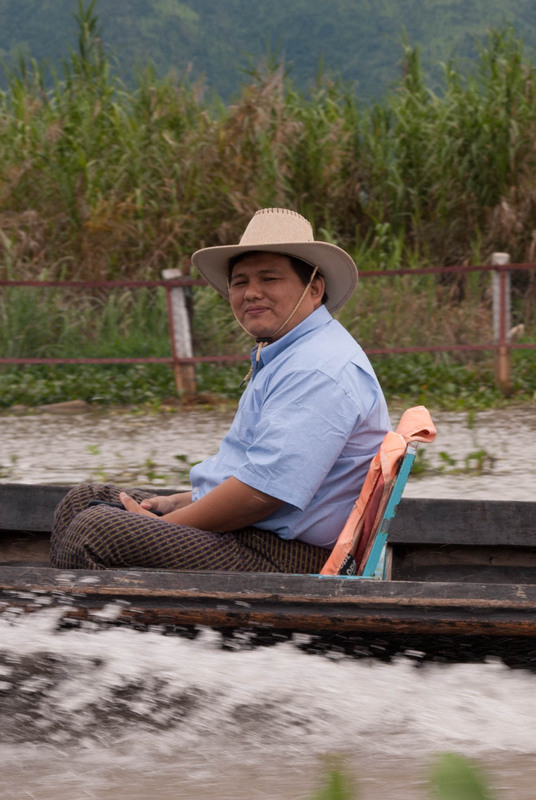 Without farmers, there is no world. 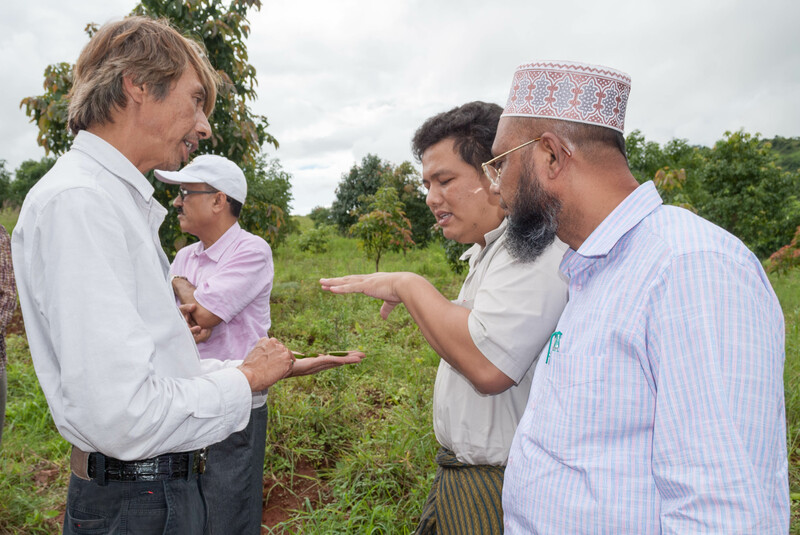 Without scientific and technical knowledge, the farmers cannot grow. Without the messengers like F2F, the farmers lack that knowledge. As a Winrocker, I am very proud to be the one who understands farmers lives, the one who serves the farmers , the one who has the vision to feed the world, the one who fights for resilience and sustainability of agriculture, and the one who is working hard. Mr Kofi Annan, who is former secretary general of United Nations and passed away recently, once said, “To live is to choose. But to choose well, you must know who you are and what you stand for, where you want to go and why you want to get there”. I was a Winrocker and F2F technical staff. Yeah, I am sure I chose it very very well, five years ago. And it was right. It will be one of the best choices ever in my life.